Yes, you can go home again. And sometimes you really want to. Move-in day has arrived. 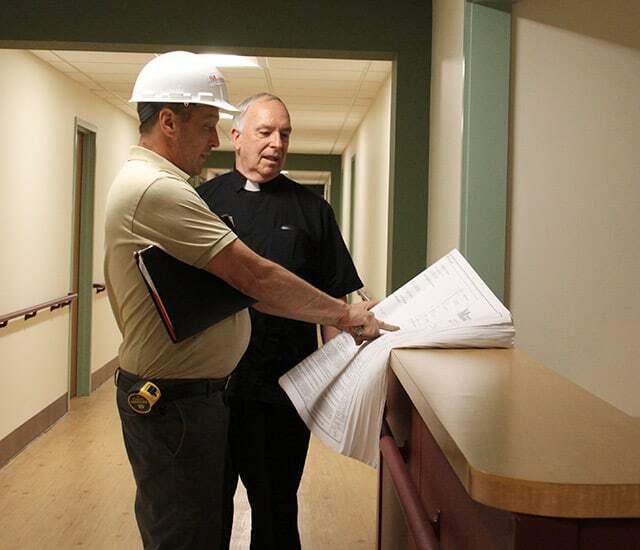 As you read this, and one after another, our elder missioners are settling into life in our newly renovated Seminary Building located on our Maryknoll campus in New York’s Westchester County. They are happy to be home again. 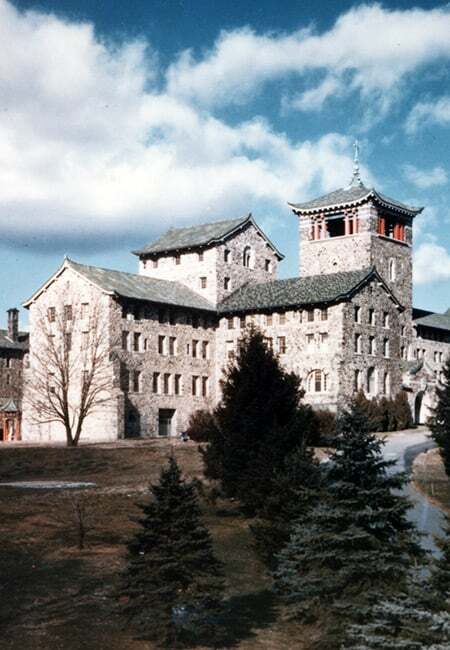 Our historic Seminary Building is where most of our missioners began religious life many years ago—decades, in fact. Now they have come back, not to retire but to accept their new assignment in full-time prayer ministry. Up until recently, some missioners were living at our Mission St. Teresa building. Now, our men are all together under one roof. Thanks to your support, which has been so very generous, we have done everything possible to make the move-in a real homecoming. I prayed with many of our missioners at a special Mass in the Our Lady Queen of Apostles chapel. Then I personally welcomed each one as they took up residence in their rooms. Some of our elder missioners have come home because they need medical care. Others just need assistance with day-to-day living. 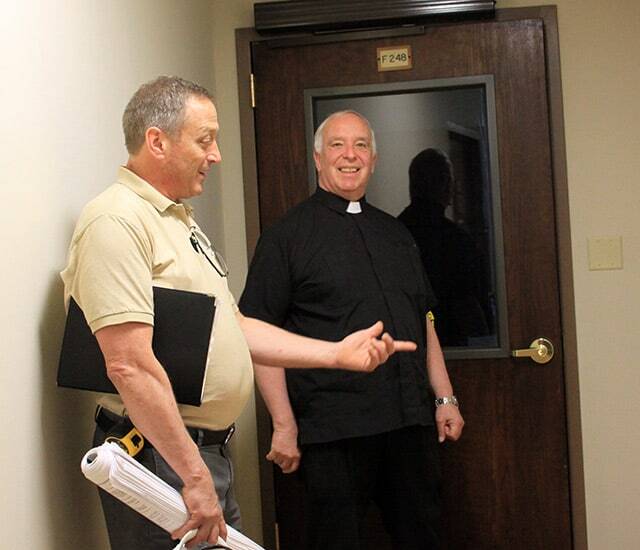 Our renovated floors and chapel will accommodate missioners in wheel chairs, and an elevator that is wide enough for a gurney. We have healthcare professionals on site so care is available round-the-clock. 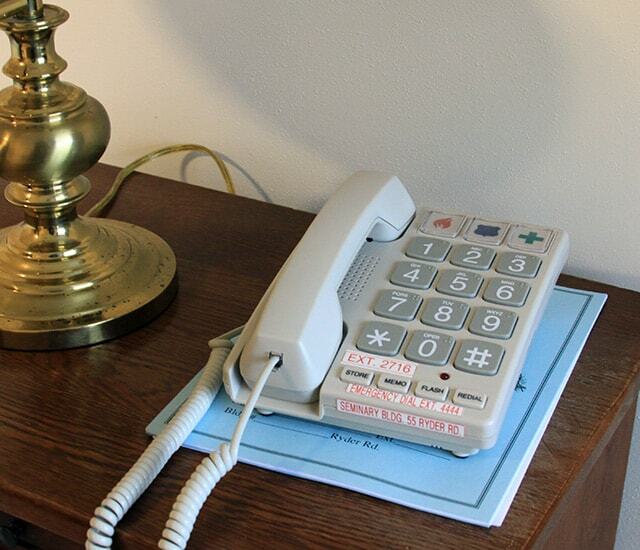 The rooms have emergency call systems, too, just in case. During the day, our missioners can visit the chapel whenever they wish, hear daily Mass, use the library, read, take their meals together, and offer their prayers for the comfort of anyone who asks. Our elder missioners take their role as your prayer partner very seriously. So I hope you will share your Special Intentions and send us your enrollments. Our missioners will remember you and your loved ones at Mass, when they pray the Rosary, and during private moments of meditation. You will never be far from their thoughts or intercessions on your behalf. In speaking with our elder missioners, I am deeply touched by a universal sentiment that each one expressed to me. If they were young enough and healthy enough, they would still be in overseas mission, serving the poor and witnessing the Gospel. Your support and prayers throughout the years gave them the means to live their religious calling with total dedication. 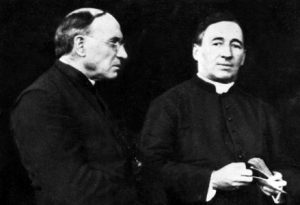 They built parishes and helped develop lay leaders to carry on the work of our Church. They built schools and training centers. They delivered healthcare to families. They helped communities seek reform for environmental, economic, and even physical abuse. And they gave thanks to God each day for the blessings of our faith—and for you.